Our event replay code works, but it’s kind of dumb. 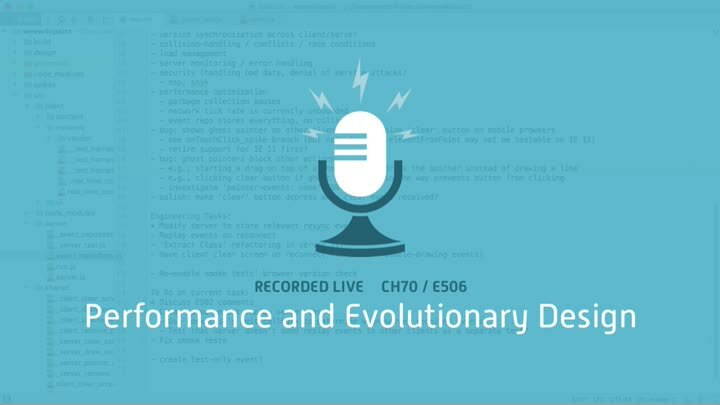 We store and replay more events than we need, which quickly leads to a performance problem. We take a few minutes to discuss how and when to address performance when using evolutionary design, then wrap up the chapter by fixing a smoke test issue.